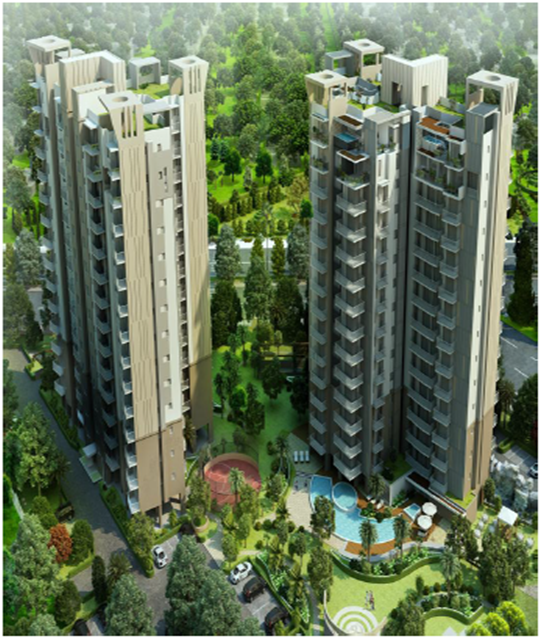 Experion Developers Pvt Ltd has launched yet another Project in Gurgaon. Experion Windchants is located in Sector 112, Gurgaon, Haryana, INDIA. Experion Developers Pvt Ltd has launched a high-end luxury Project WIND CHANTS, the luxury of space on Dwarka Expressway in Sector 112 Gurgaon. The project is spread over 23.43 acres on with International luxury liberal sizes of 2BHK/3BHK/4BHK condominium, Penthouses & Limited Edition super luxury Villas. 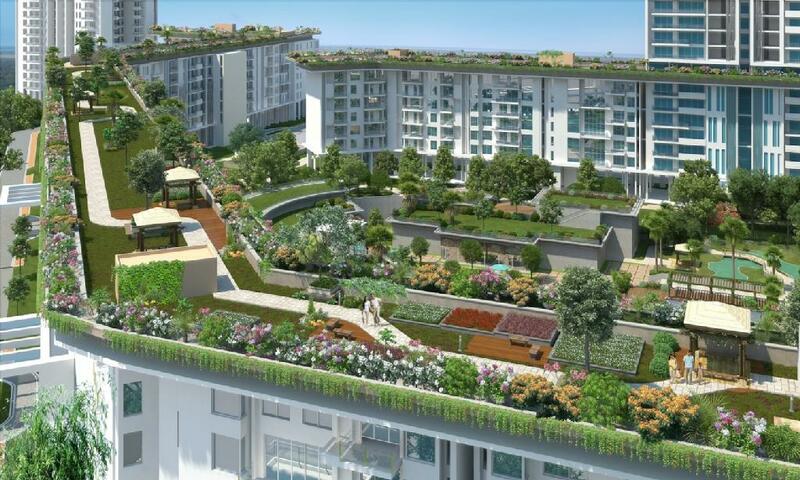 The Project has been designed by internationally acclaimed, award-winning architects - ARCOP & extensive well-defined landscaping by Site Concepts a Singapore based company. Situated close to the of a border of Delhi, the WIND CHANTS will redefine luxury &will establish new benchmarks for cosmopolitan sophistication, upscale living & international amenities. Introduction: Experion Windchants is a privileged residential project from Experion Group. 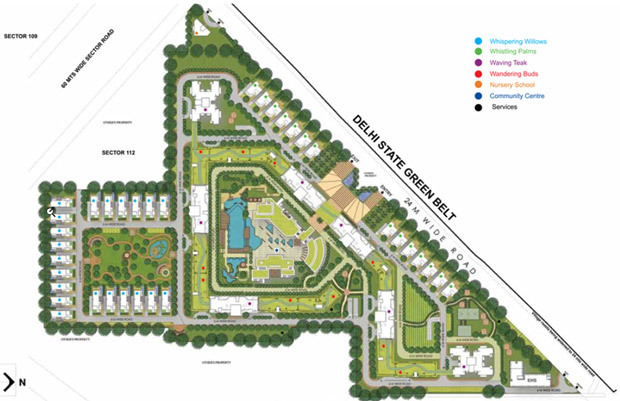 One of its unique selling points is its low popular density development area which will cater to around 600 families. 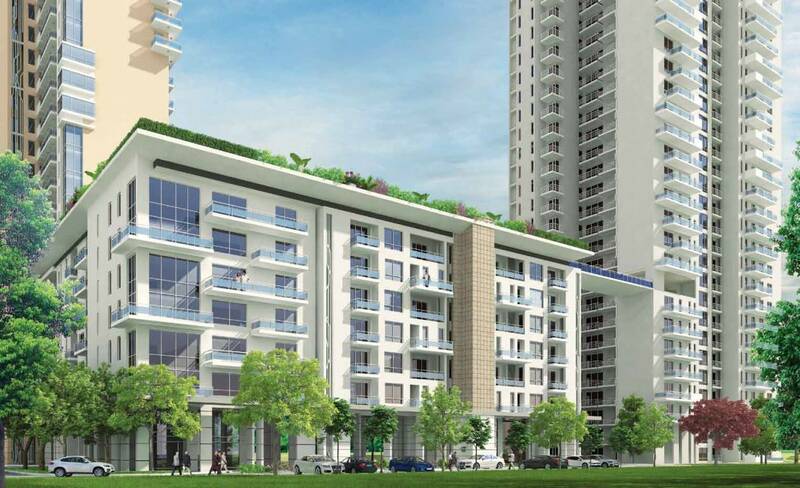 Location: the project is aptly situated in Sector 112, Gurgaon. It is a part of Gurgaon's suburb named Dwarka Expressway. National Highway No.8 (NH-8) and 150 meters wide Northern Peripheral Road, as well as proposed metro line, enhance connectivity here. In close proximity of this project lie projects like Emaar MGF Ekaantam, Earth Copia, and Antriksh Zeal. Available units: Experion Windchants comprises of Whispering Willows, Whistling Palms, Waving Teak and Wandering Buds which offer apartment sizes varying from 2275 sq. ft. to 8800 sq. ft. 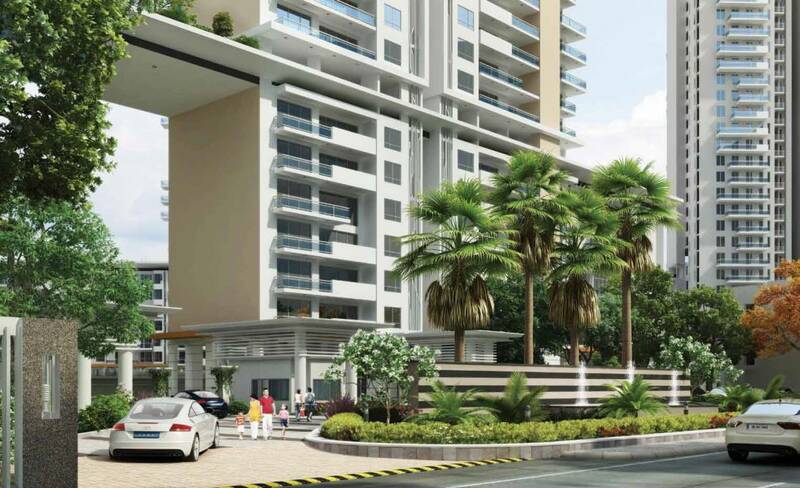 Waving Teak offers 2/3/4BHK flats and 5BHK penthouses. Wandering Buds includes three 5BHK duplexes. Buyers would be attracted to this project due to its easy and flexible payment plan. Features: Designed exquisitely with aesthetic interiors and exteriors with themed green spaces at elevated levels, a view of Delhi's Green Belt adds a picturesque effect. Experion Windchants comes with basic infrastructural facilities like a hi-tech security system, power, and water supply available 24X7 etc. Over 250000 sq. ft. area planned for in-house club facilities such as sports' complex, meditation center, and green areas. Interior Specifications: Every Corner of the apartments has been creatively designed in space efficient manner. Well lit abodes here have spacious balconies and large-sized windows. The modular kitchen also has a utility balcony attached to it. Flats here have been finished to a very high standard with designer flooring. A project has a great floor plan to suit all needs. Download Experion Windchants brochure from Favista for detailed information. Amenities: A considerable number of amenities form part of the master plan of Experion Windchants. These include reserved parking, swimming pool, tennis court, garbage disposal at each floor, gym and kid's play area. Security is not a problem here for various hi-tech security measures have been used. Fire sprinklers have been installed to ensure safety from fire. EDPL (Experion Development Pvt. Ltd) is international business corporations which have started its operations in India in the year 2006. The company is a 100% FDI funded and is backed by Singapore based AT Capital Pvt Ltd. Since its establishments, the real estate developers have made investments of more than USD 230 Million in procuring tactic project sites at various sites across India. The company is an active player with the main focus on construction in Delhi, NCR, Haryana, Andhra Pradesh, UP, Maharashtra, and Goa. Since its inception, the company has crafted its niche for the quality construction, transparent dealing, majestic infrastructure and innovative engineering techniques that they apply to their projects.